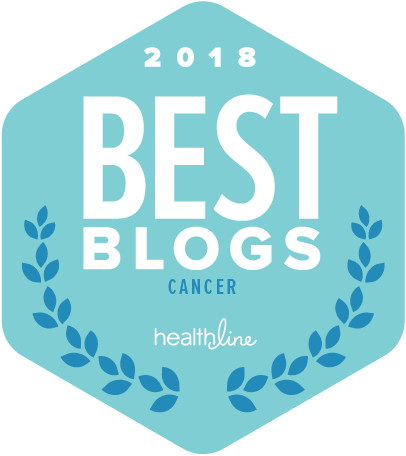 Earlier this year I made the decision to undergo genetic testing to find out whether I’ve inherited any genetic mutation that could increase my risk for a new breast cancer diagnosis or for other cancers. I was diagnosed with breast cancer when I was only in my mid-thirties. But that was in 1993 and, for a number of reasons, including having no family history of breast or ovarian cancer, I’ve never had genetic testing before. However, I have followed developments in genetic testing for cancer risk with interest over the last several years. And I’ve been struck by how much we’re learning and how much more we seem to know about inherited cancer risk than was the case maybe even five or ten years ago. Here’s what the experience was like for me and some of the helpful things I learned in the process. After I made the decision to go ahead with consideration of testing, I was referred to a genetic counselor with the same medical center where I go for breast cancer follow-up appointments. In the meeting with the genetic counselor we went over my medical history and we had a fairly detailed discussion about my family history, including cancer diagnoses and causes of death for deceased family members. (I had been asked to send in a questionnaire before the meeting which asked for a lot of this information.) We also discussed the countries of ancestry in my family tree going back to my great-grandparents. I had a number of questions for her and we had an excellent discussion. More on that below. I was considered to be a strong candidate for genetic testing given my own breast cancer diagnosis at a young age. In addition, several close family members had been diagnosed with other types of cancer at relatively young ages, including my mother, who was diagnosed with endometrial cancer at the age of 50. The pattern of the cancer diagnoses in my family did not suggest that any particular known inherited mutation might be involved. Therefore, my counselor felt that we needed to “cast a fairly wide net” and recommended a common heredity cancers panel, which tests for 42 genetic mutations associated with a number of different types of cancer. Having decided on the panel test, the next step for me was to provide a saliva sample, which was taken by spitting into a tube. I was told it would be about two weeks for the test results to come back. We agreed to talk by phone once the results were in, but I could have chosen an in-person meeting if I had preferred that. I had prepared several questions for the counselor before the meeting, and they led to an interesting discussion. Here are my questions and what I learned. If I test negative for mutations in the BRCA genes, are there other ways that genetic testing could provide useful information for me? Mutations in numerous other genes indicate an increased risk for certain types of cancer. That increased risk may be moderate or high. When the risk is high, surgery or medical intervention may be warranted. For moderately increased risk, the best option may be a tailored screening plan. For example, for moderately increased risk of colon cancer, more frequent colonoscopies could be a reasonable plan. What exactly is a “variant of uncertain significance” and if any are found what would the implications be? Everyone has multiple “variants”, or changes, in their DNA. Most variants identified through genetic testing are eventually reclassified as either “benign”/”low risk for cancer” or “cancer risk”/”likely risk”. Additional information about most of these variants is obtained over time that clarifies which category they’re in. If warranted, a follow up strategy could be decided based on that information. It’s important to know that most variants are eventually reclassified as benign. What happens if new information comes to light later that would be relevant for me? If new information is obtained at a later time that clarifies any variants of uncertain significance that have been found for me, the lab would notify the genetic counselor who would in turn notify me. What do labs do with the data from genetic testing? Most labs are sharing data on genetic variations that have been identified through testing. The test results showed I had no mutations known to increase risk for cancer. I did have two variants of uncertain significance, but both were on genes that have not been connected with breast cancer and both were considered likely to be eventually reclassified as benign. The fact of there having been several early onset cancers in my family remains unexplained. I don’t really expect it ever will be, and there are of course many factors that contribute to cancer developing in any individual. However, my counselor encouraged me to remain in contact as new information may come to light in the future that could be relevant for me and my family. Beyond my own test results, I learned a lot through this process about the benefits and risks of genetic testing. it can aid in developing a cancer treatment plan if applicable. it can help tailor a cancer screening program that takes into account any known risk factors that may be present for specific types of cancer. it can help in making decisions about risk-reducing measures where applicable, such as enhanced screening through MRI or having risk reduction surgery. it is not just a point in time finding–as more information come to light that would be pertinent that information is available. it can provide important information for family members that can aid their health care decision making. As far as risks are concerned, there is what was described as a “theoretical risk” of possible discrimination based on the test results. Current federal law–the Genetic Information Nondiscrimination Act (GINA), which was enacted in 2008–prohibits discrimination in health insurance or employment based on genetic information. But GINA doesn’t cover other types of insurance such as life insurance or long-term care insurance and that may be a concern for some. The cost of genetic testing for breast cancer risk has come down substantially in the last few years since the Supreme Court’s decision in 2013 in the Myriad Genetics case opened the door for other companies to offer the testing. For individuals determined to be at risk for having inherited a cancer-related genetic mutation, testing is now covered by many health insurance plans. Researchers continue to learn more about genetic mutations that increase risk for breast cancer. For example, I recently wrote about a study reported in the journal JAMA in which researchers followed about 10,000 women who did not have cancer but did have mutations in the BRCA1 and/or BRCA2 genes for about 5 years. The purpose was to learn more about the risks for breast and ovarian cancer when these mutations were present. The study showed that both family history and the location of the mutations on the BRCA genes influence risk. In another recent major study on breast cancer genetics published in the journal Nature and reported in Science Daily, researchers identified 65 common genetic variants whose individual effects are small but which together can increase breast cancer risk significantly for some individuals. Information on genetic testing for hereditary cancer syndromes can be found on the National Cancer Institute website. Breastcancer.org provides detailed information on the ins and outs of testing for genetic mutations that raise the risk of breast cancer. An article by Kathleen Hoffman in Medivizor includes suggestions on finding certified genetic counselors and compiling a family health history. And if you’d like to go deeper into the science, a talk at the 2016 San Antonio Breast Cancer Symposium by Dr. Fergus J. Couch of the Mayo Clinic is a fascinating discussion of what we know now about inherited genetic mutations that increase the risk for breast cancer, and research underway to better understand these kinds of mutations and the risks they convey. I had genetic testing and was positive for BRCA-2. I’m glad to know because knowledge is power. I believe I’m more vigilant than I might have been knowing this. Of course, I felt obligated to share the information with my family. My brother and his daughters (in their 30s) tested, and all three are BRCA-2 positive. I get the impression that my nieces may wish they hadn’t known. My own kids opted not to get tested. My daughter (also 30s) said: “I know it runs in the family. I don’t need a test to tell me I’m high risk.” So there you have it. Pros and cons, at least in my family. Eileen, thank you for sharing about your experience with genetic testing and how your family reacted to the information that you were BRCA2 positive. I can appreciate that people would react to the information in different ways. Not an easy decision for family members by any means. Thanks again for sharing your experience with this.